BIG news from 12 oz. 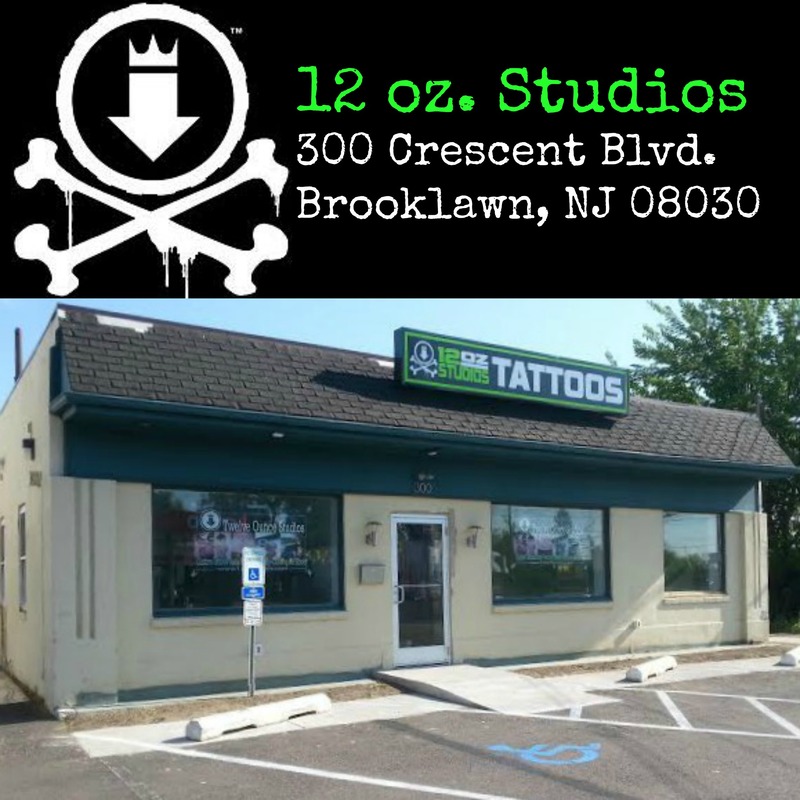 Studios Brooklawn shop! IT’S FINALLY HERE!!! The moment we’ve all been waiting for. Sunday, May 17th, we moved into our new Brooklawn shop (300 Crescent Blvd)!!! The 12 oz. crew along with some of our amazing customers busted our butts and moved the entire shop in a few hours! So, a HUGE thank you to everyone who answered the call when we needed it most! Now begins the task of setting everything up and getting everything in working order. The new Brooklawn shop will be closed Monday, May 18th, but starting Tuesday, May 19th, we will be open for business during normal operating hours. If you are still looking to get tattooed on the 18th, you are in luck! Our Deptford shop will be open from 2 – 9 pm. Thanks again to everyone who helped us move and helped us permanently plant our roots in the great borough of Brooklawn, NJ! Check back with us soon as we will share some photos of the new shop!